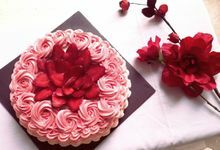 Delice Patisserie brand was founded by Carissa Faustina. Delice Patisserie started in our little home kitchen in Surabaya. 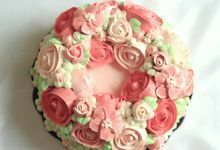 With our passion for delicious and simple pretty cakes we started our little home bakery in early 2015. We only use the finest ingredients for our cakes. 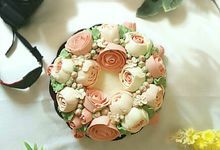 We love to make our cakes look pretty and nice with an exclusive buttercream decoration.